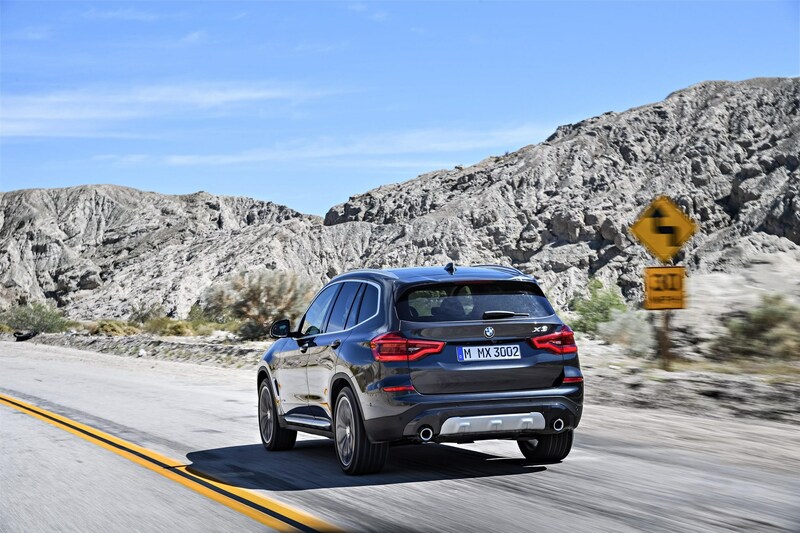 "Two petrol engines are on offer but will probably be of restricted interest to fleets"
The launch of the X2 earlier this year saw BMW fill one of the few gaps in its SUV range – it now offers X models from 1 through to 6, with a 7 due to arrive later this year. But one of the mainstays of its X range is also its second oldest: the X3, with more than 1.5 million sold since the original model was launched in 2003 (X5 is the oldest, with it first available in 1999). 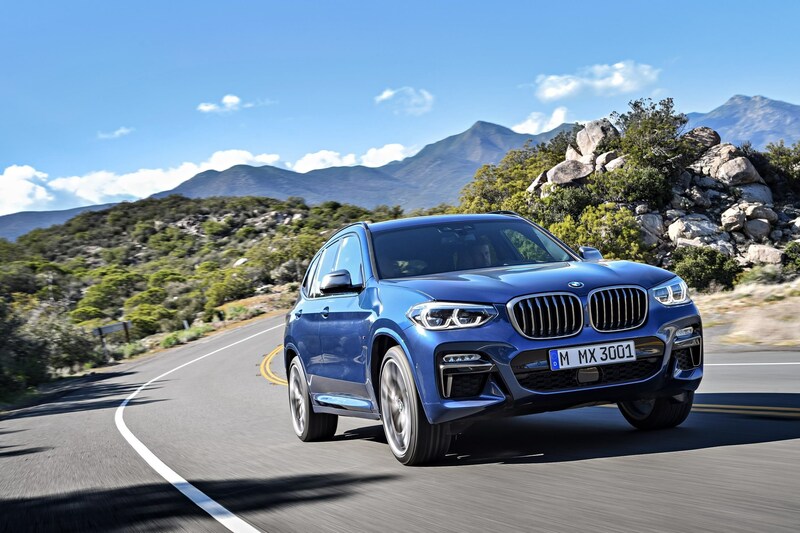 BMW has now launched the third generation of this model and it’s roomier, more refined and more technologically advanced than its predecessor. 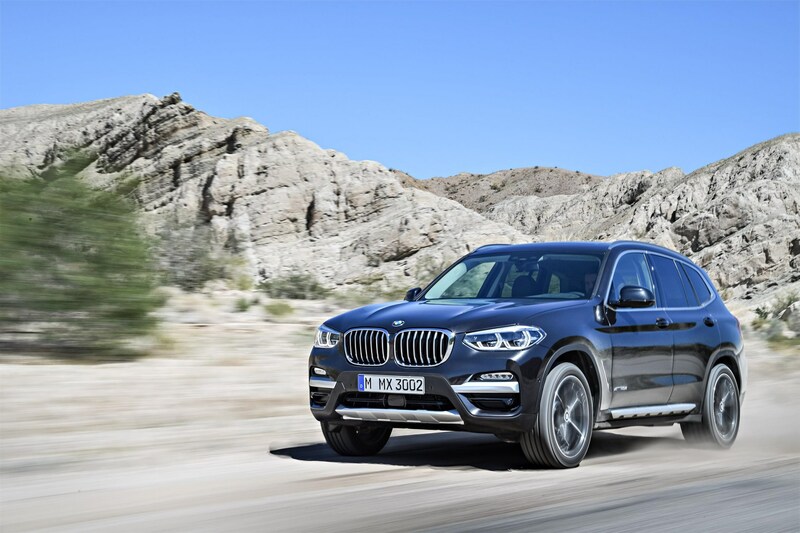 It is also available only with all-wheel drive and an eight-speed automatic gearbox: just 5% of customers of the previous X3 opted for a manual. Unfortunately, these improvements aren’t mirrored through increased efficiency: CO2 emissions begin at 132g/km for the 190PS 2.0-litre diesel X3 xDrive 20d model (official combined fuel economy: 56.5mph), with CO2 for the M Sport trim we drove actually 2g/km higher than for the model it replaced. It still remains competitive in its class, though. The M Sport’s 142g/km and 54.3mpg compare with the Volvo XC60 2.0D4 190 R Design’s 148g/km (54.3mpg) although it is beaten comfortably by the Audi Q5 2.0 TDI 190 S Line Technology’s 133g/km (55.4mpg). This is reflected in the company car tax bills their drivers would pay: a 40% taxpayer would face an annual benefit-in-kind bill of £5,551 for the X3, £5,576 for the XC60 and £5,326 for the Q5. Over a four-year/80,000-mile cycle, the X3 will cost the most for a fleet to operate. Its running costs will be 52.21ppm, the XC60 49.27ppm and the Q5 the cheapest at 48.25ppm. 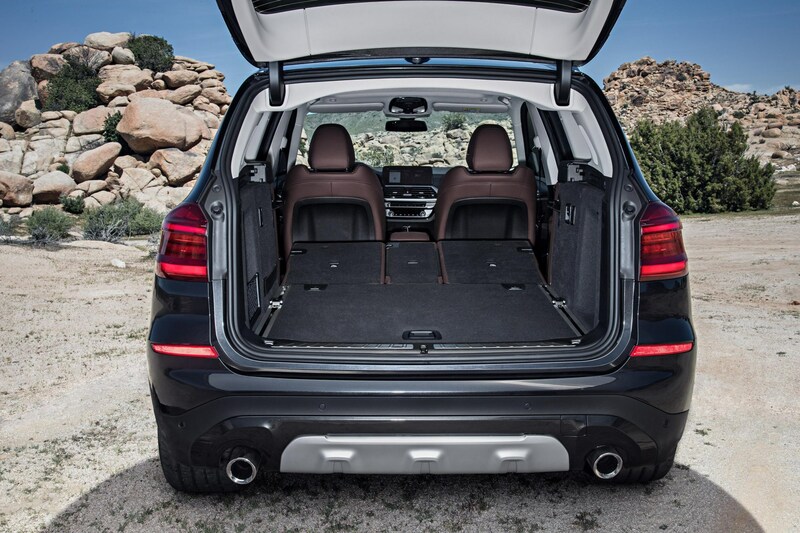 The X3 is also available with another diesel engine in the xDrive 30d, a 265PS 3.0-litre with 149g/km and 49.6mpg. Two petrol engines are on offer but will probably be of restricted interest to fleets: a 184PS 2.0-litre xDrive 20i (163g/km, 39.8mpg) and a 360PS 3.0-litre M40i (188g/km, 34.5mpg), but to a typical company car driver that is little hardship as the 2.0-litre diesel performed impressively on our test drive, offering plenty of power and refinement. 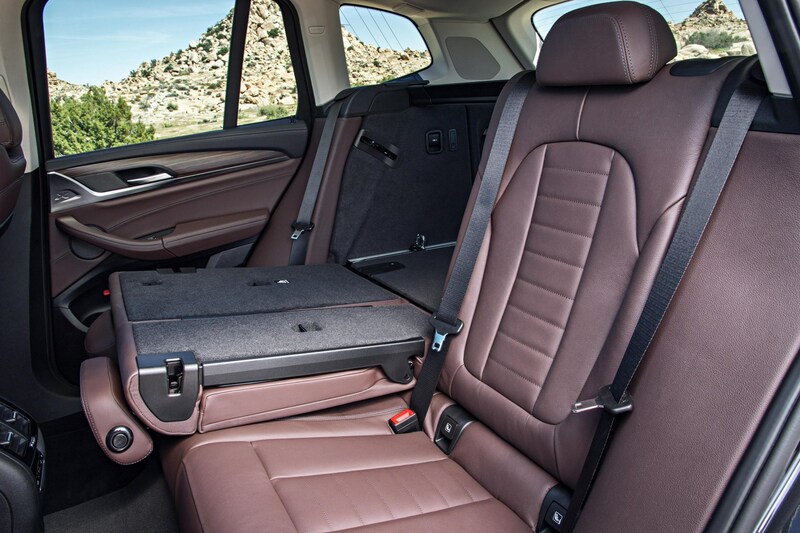 The interior is unmistakeably BMW in terms of design and quality, which means that it is comfortably among the class best. It’s spacious too, with plenty of room for occupants in both the front and rear. 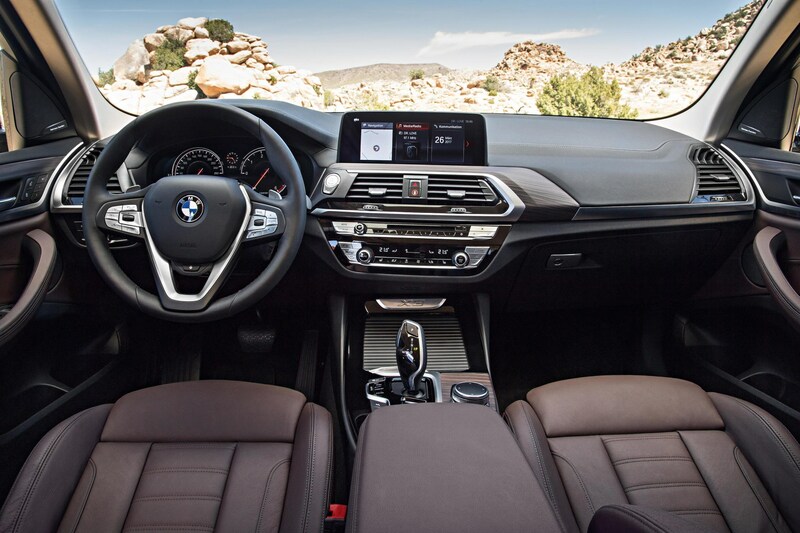 The dashboard is dominated by a 10.25-inch touchscreen which is standard as part of the Professional media system on M Sport (other trim levels are fitted with a 6.6-inch screen). Other standard equipment includes park assist, parking sensors, special M Sport body styling, sports seats, semi-digital instrument cluster LED headlights, tail-lights and foglights, M Sport suspension and 19-inch alloy wheels. On the road and undoubtedly helped by having the optional acoustic side glass fitted (£110), road and wind noise was impressively subdued, enhancing the quality feel of the cabin. However, the ride quality reflects its sporty styling: it will be too firm for many drivers, with many of the bumps and road imperfections being felt clearly by occupants. However, it handles well, better than you may expect a high-sided SUV to do, and this sporting appeal combined with its refinement and practicality, makes it worthy of consideration for any company car driver looking for a car in this sector. Much anticipated seventh generation of best-selling BMW 3 Series is a very impressive package, and one which will not disappoint any company car driver.